Updates to Patricia M's profile since your last visit are highlighted in yellow. Anne Grove - Louisville, Ky., Carl Odendahl - Boynton Beach -Fl, Mark Odendahl - Chatham,N.J. Thanks to Rick and Sylvia for keeping us informed and together. How computer literate you are. I struggle with this communication. Since h.s. grad. I have lived in Monmouth, Ill, raised three kids, moved to Fl. and have probably 2 more years working in the high school before I retire. Jim and I have a golf shop in a lovely private club on the ocean in Delray Beach ... St.Andrews Club on A1A ... come visit us! I have so many wonderful memories of school in Moline and friends there. My bestest-ever friend Sally Eastland and I shared a special bond and we still do. Of course, my senior year was unusual because I crushed my ankle in a sledding accident on Jim Rosborough's hill in Morgan Park. I remember a party at Short Hills that Christmas and Pat Wendt's parents ambulance service drove me to the party.Class of '62 did have some fun! Patricia M Carlson Simon has a birthday today. New comment added. Linda M Wilt Free posted a message on Patricia M Carlson's Profile. Happy birthday Pat. I hope you have a great day! Patricia M Carlson Simon has a birthday today. Patricia M Carlson Simon posted a message. are you and your wife still coming to Fla. in May? if so, we definitely would like to meet for dinner at your convenience time, day and place. Please contact us at Jim's cell 561-6650336 or at simonjim@msn.com we hope this works out. 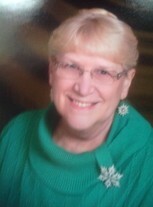 Patricia M Carlson Simon added a comment on Profile. New comment added. Happy birthday Pat. I have so many memories of the great birthdays with the Garfield gang. Have a great day. Patricia M Carlson Simon has left an In Memory comment for Jack Dye. To The family of Jack Dye, I was fortunate enough to have your father as my high school golf coach. I went to Moline High School from 1960 to 1962 and was thrilled to play on the golf team. Mr. Dye made our trips so much fun and always made us laugh. As I recall he had a green and white Pontiac . I also remember when he got us team shirts. They were red and white and I thought they were really cool. Whether we played good or bad, he always had an appropiate comment to make. I had my picture taken with him at our 50th class reunion and enjoyed catching up with him and then had the pleasure of meeting his wife and your Mom at the First Congo that Sunday. I would like to thank Jack Dye for his influence on my chosen path as club golf professional. Our deepest condolences to all of you. Sincerely, Jim and Pat Simon, Class of 1962, The best class in the history of MHS. Patricia M Carlson Simon has left an In Memory comment for Gena Dedrikson Scott. Patricia M Carlson Simon posted a message. New comment added. You look wonderful and your accomplishments are commendable. We do have fond memories of our high school years....we are fortunate for that. If you ever travel to South Florida, please let us know...we live in a small golfing community in Atlantis and since we are dinosaurs in today's world, we still have a home phone. Enjoyed seeing you and hearing about you.